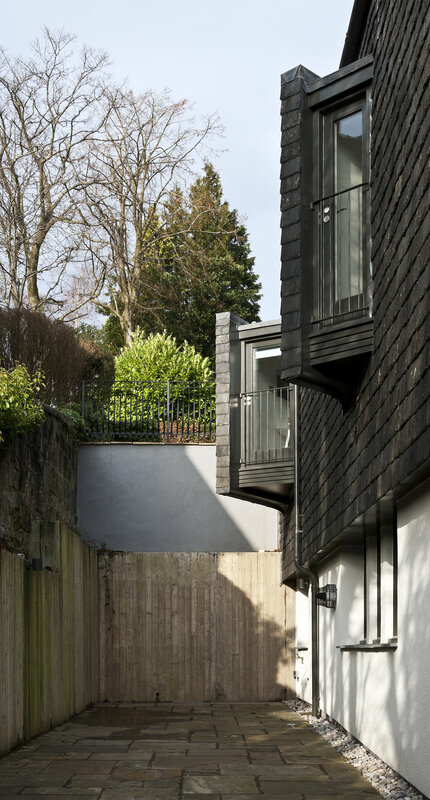 The project involved careful internal reconfiguration and extension on the western side of the existing house. This created the best internal arrangement and also generated three distinctive external spaces of individual character. 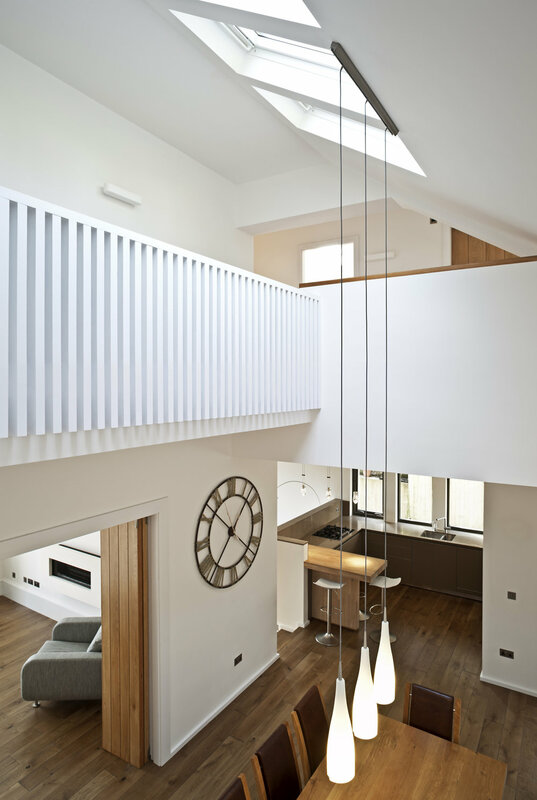 Within the existing house, a new double height rooflit dining space enjoys views and access to the rear courtyard as well as to the long southerly view. 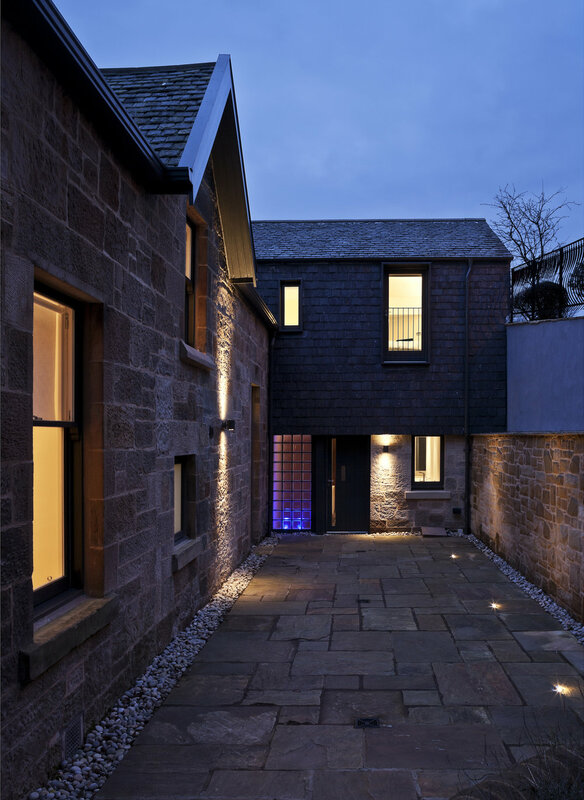 Vertically-hung, second hand Scotch slate is used for the entire upper floor, forming a natural connection to the existing roofing.